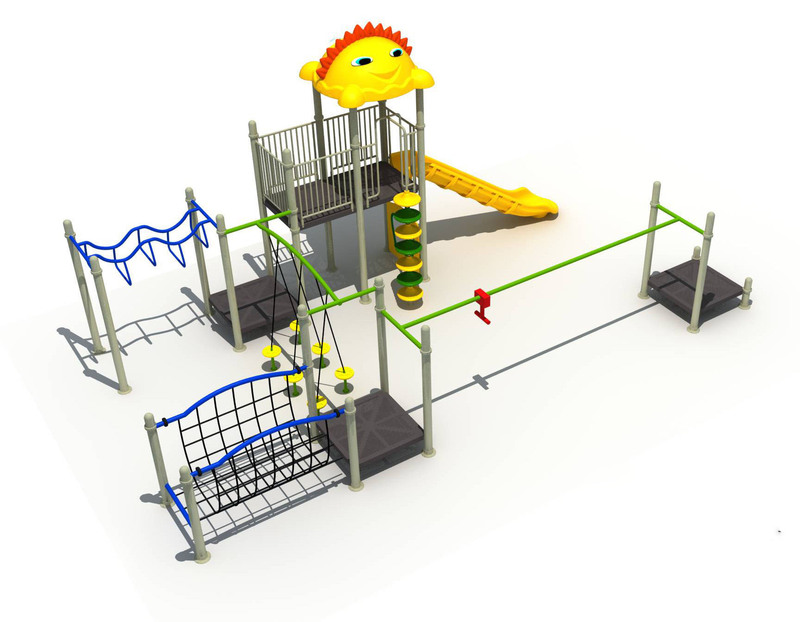 7 x Galvanised steel platforms, 2 x Rope Tunnel Bridge, 1 x Monkey Bars, 1 x Triangle Swing Bars, 1 x Square Net Climber, 2 x large Slide, 1 x Small Slide, 1 x Round Space Tunnel and 3 x Steel Ladder. 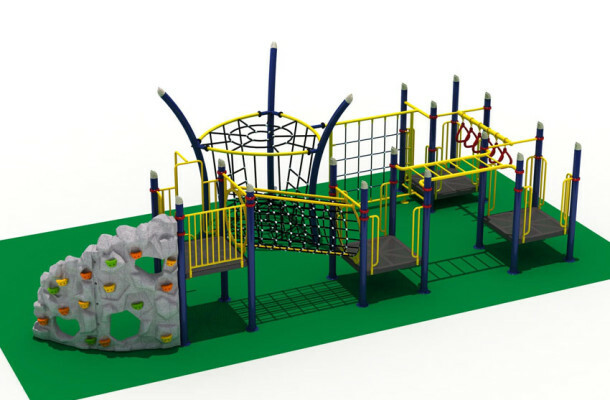 4 x Gal steel platforms, Triangle Rings bar, Square Net Climbing Frame, Balance Stepping Stones, Rope Tunnel, Slide, Rock Wall (double sided) and Triangle shape Rope Climbing structure. 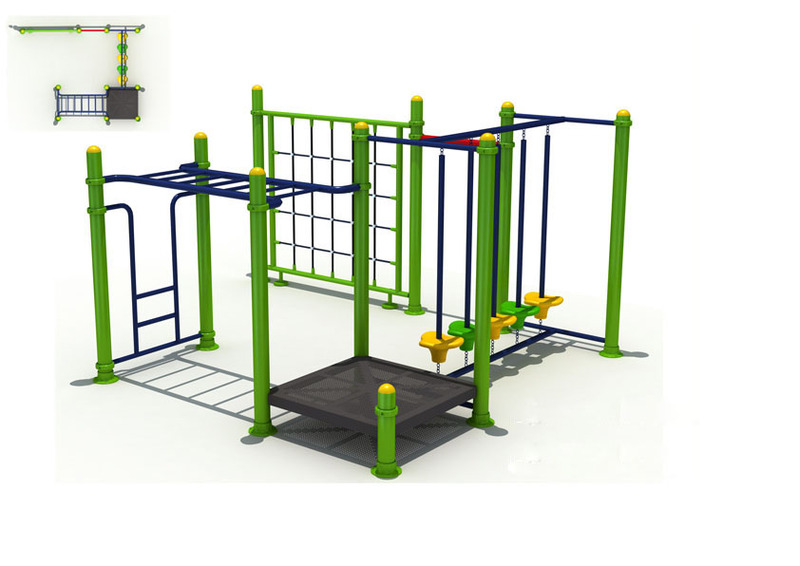 4 x Gal steel platforms, Triangle Rings bar, Square Net Climbing Frame, Monkey Bars, Rope Tunnel, Ladder, Rock Wall (double sided) and Triangle shape Rope Climbing structure. 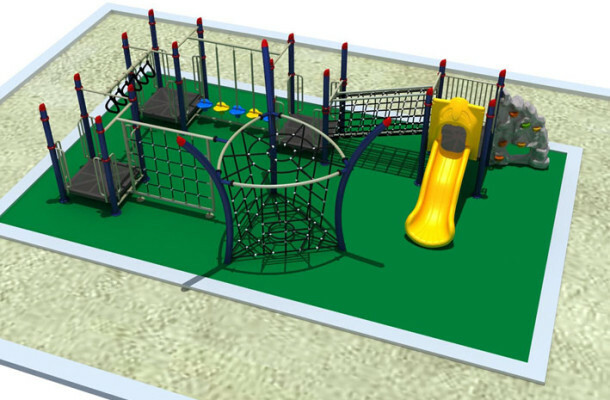 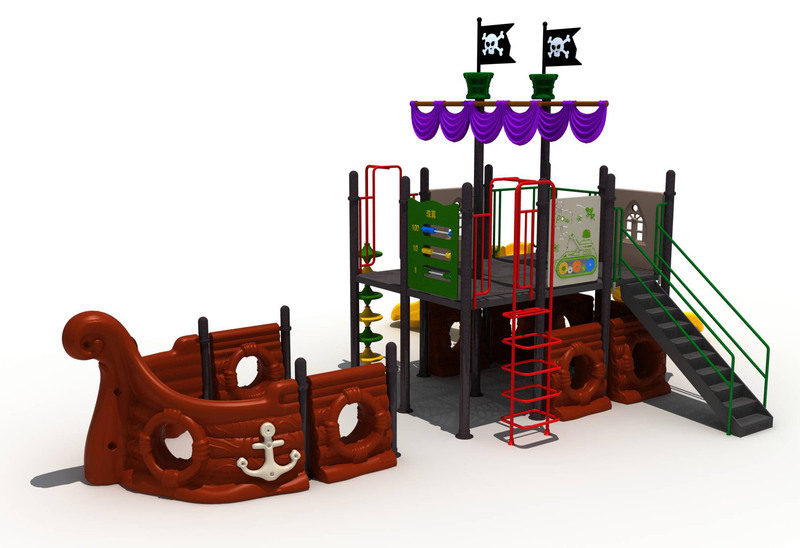 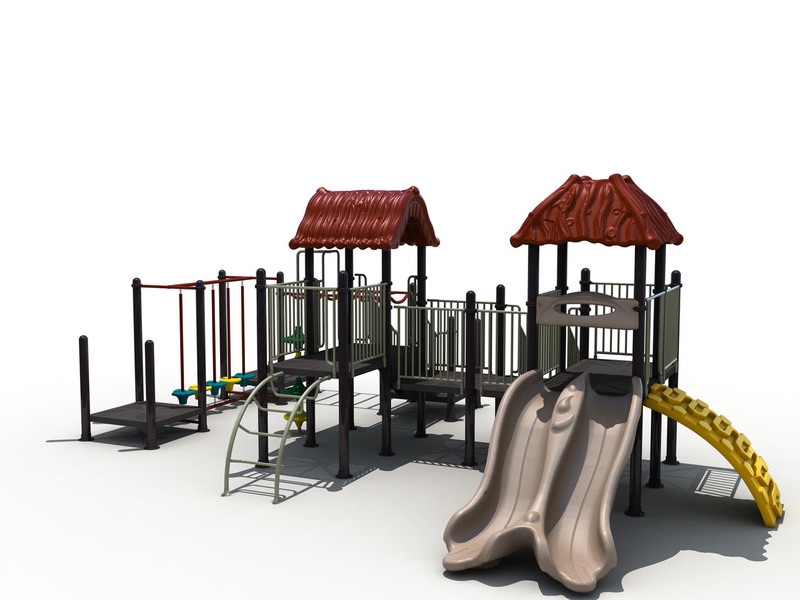 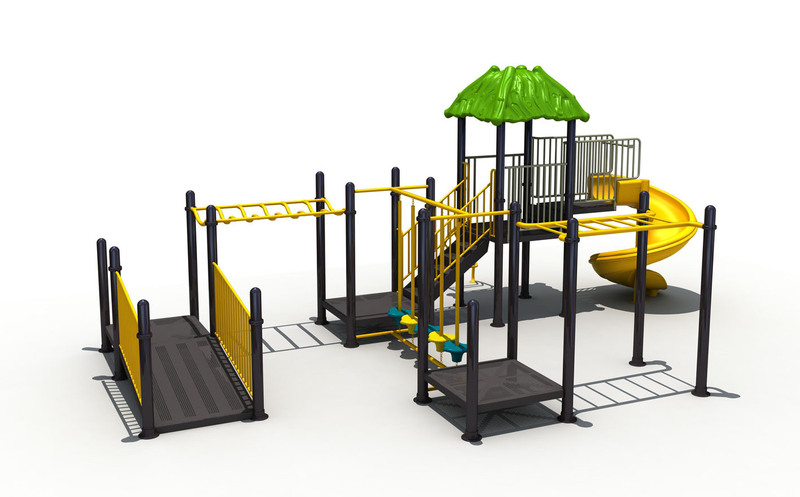 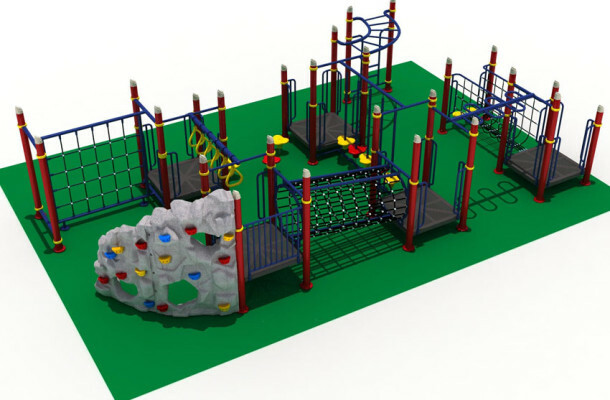 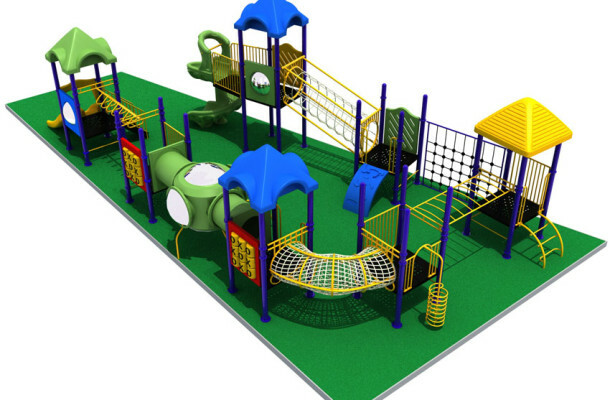 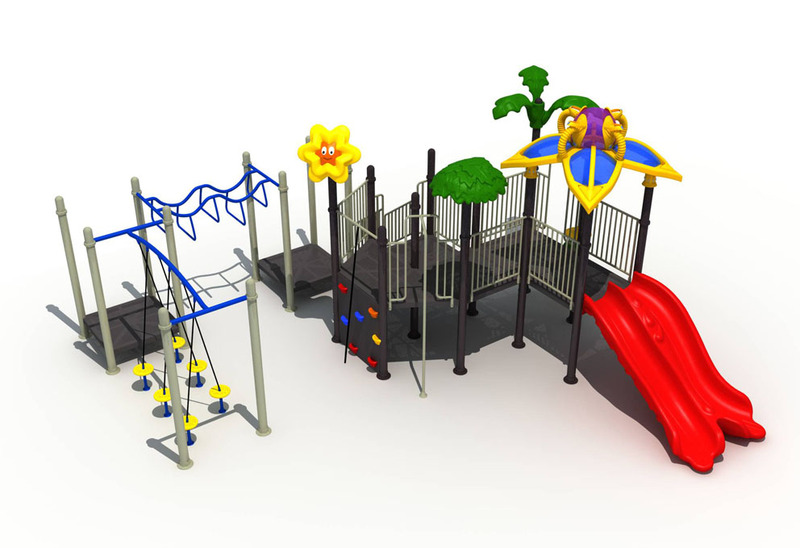 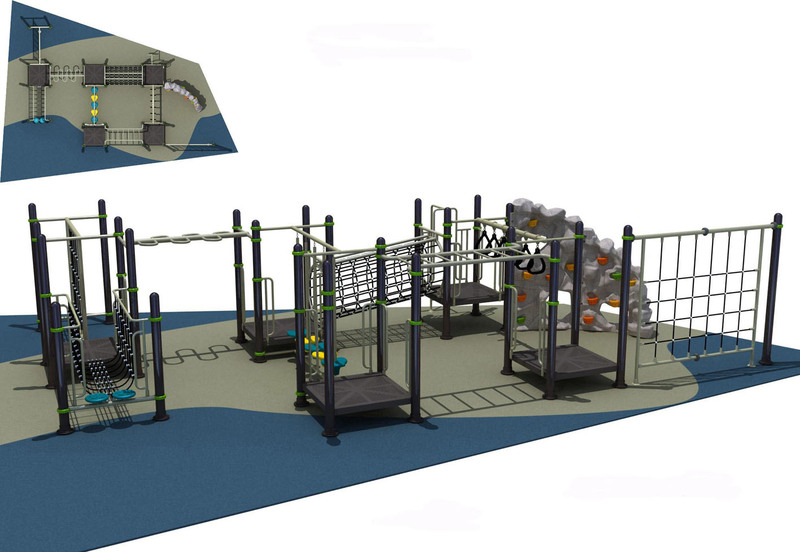 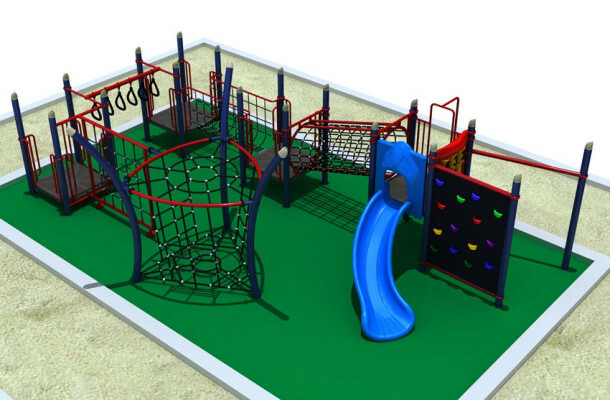 5 x Gal steel platforms, Rope Bridge, Monkey Bars, Stepping Stones, Rope Tunnel, Triangle Swing Bars, Curved Monkey Bar, Square Net Climber and Large Rock Wall (two sided). 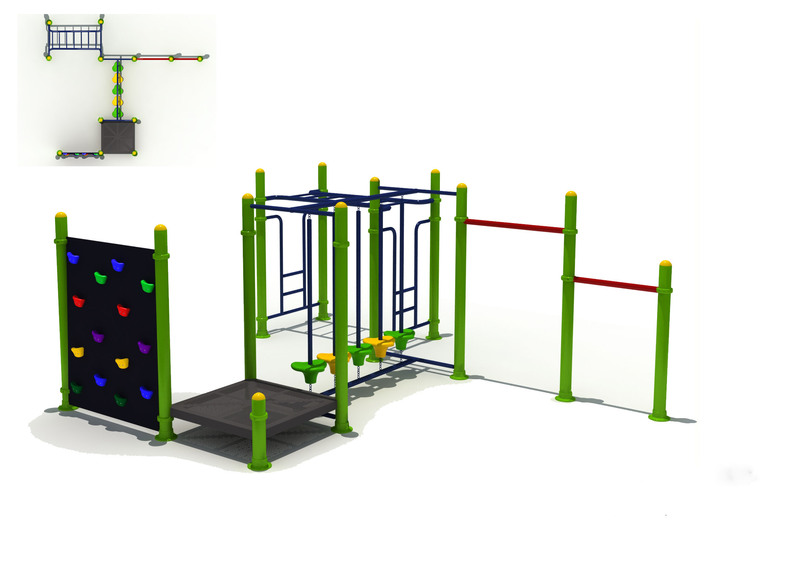 Stepping Stones, Monkey Bars, Mini Rock Wall, Fireman Pole, Step Ladder and Double Slide.